Looking for an adventure of a lifetime all the way back to Ancient Egypt. Join the Egyptian goddess in this fantasy slot game and get ready to win your fortune! 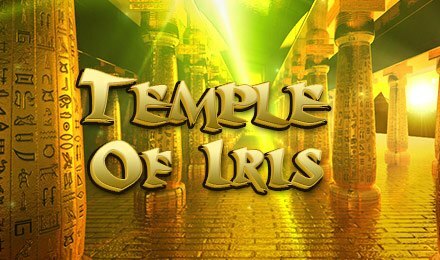 The Temple of Iris reels are filled with your typical symbols, like the Queen and King, but also have special symbols, like statues of cats, pyramids and more. Your Wild is the Priestess, and it can take place of any symbol, except the Scatter, which is represented by the Golden Pyramid. 3 Scatters will reward you with 15 FREE spins and 5 Wilds in a row will grant you the jackpot prize!